Give me more, Feed me more Chicken Liver pate!!! Thank goodness, I made 6 small portions, since I find this Chicken Liver pate, just too more-ish for words! Once I start, I go into the “feed me more” frenzy. Especially, when having it on the seed crisp crackers I recently made. Trim the chicken livers and blanch for 3 minutes in the stock (125ml of the stock only) and water. Drain the livers in a colander, and discard the liquid. Saute the livers in butter (30ml) until firm but not dry. Remove from the pan and keep to one side. Saute the onions in the same pan, until tender but not brown. Add brandy to the pan, flame (via use of a lighter or match), douse the flames (if you are too slow, like I sometimes am, then don’t worry about ‘flaming it’, it won’t!) and add the remaining stock, spices and dry mustard. Crush the garlic and add to the butter, while it is melting (in a separate saucepan). Chop or mince the livers. Add this, as well as the the spiced stock mixture and melted butter to a blender to puree or to a food processor to puree. I then sieve it, to get all the bits and pieces that weren’t pureed properly – just makes for a smoother finish, but this is optional! Finally fold in the cream. Place into small containers and refrigerate. This can also be frozen! Additionally, you can add clarified butter on top when cold, if you want to! I usually do! This can also be frozen with the butter. I freeze in small quantities, otherwise I can simply just eat, and eat, and eat it….it’s just that yummy!!! Stuffed chicken liver pate eggs: An idea with what you can do with chicken liver pate…Boil some eggs until well done. Once cooled, peel, and cut in half. Spoon out the egg yolk. Mix the egg yolk and the chicken liver pate together and then spoon back into the egg aka stuffed liver pate eggs! 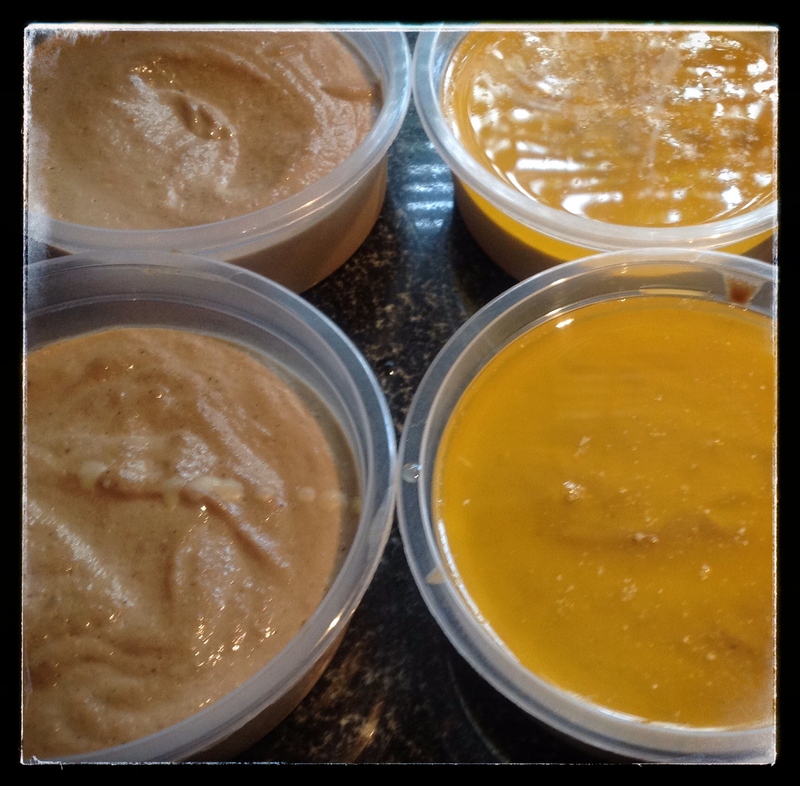 This entry was posted in cooking as easy as 1..2...3, LCHF recipes and tagged Atkins, butter, chicken liver pate, chicken livers, LCHF, liver pate, livers by angelb38. Bookmark the permalink. I can second Ange’s comment that it’s absolutely delicious! Especially with the seed crackers. Tried it for the first time last night and it was heaven (especially followed by her Chicken and Mushroom Soup and then AMAZING icecream for desert)! Eating plan? Who’s on an eating plan?